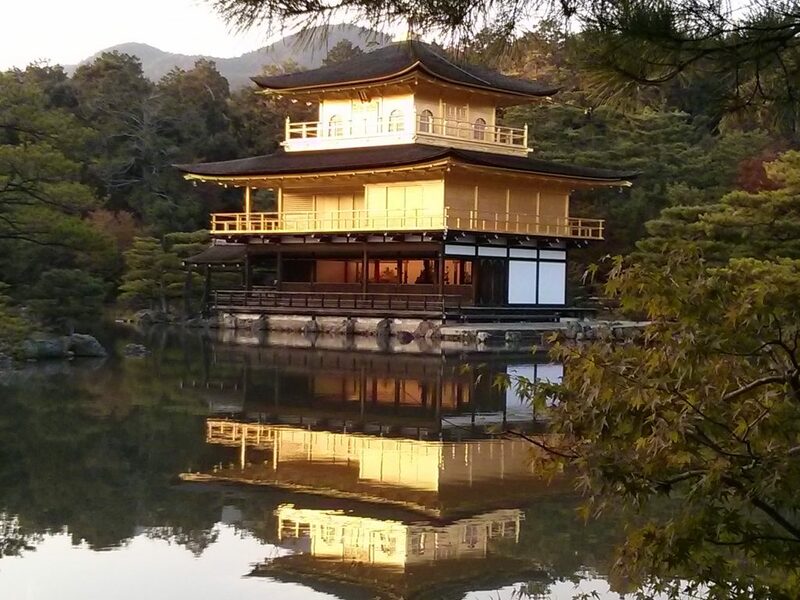 Kyoto is home to an incredible number of temples and shrines. I am one of those people who never really gets tired of these kinds of things, they never look “all the same” to me. Therefore, I spent days exploring as many as I could, taking notes and pictures. Today I selected some of them for you, hoping to relieve a bit that sense of overwhelm. Temple or shrine: what’s the difference? I already mentioned it in this article, but let me quickly refresh the difference between tera and jinja for you. 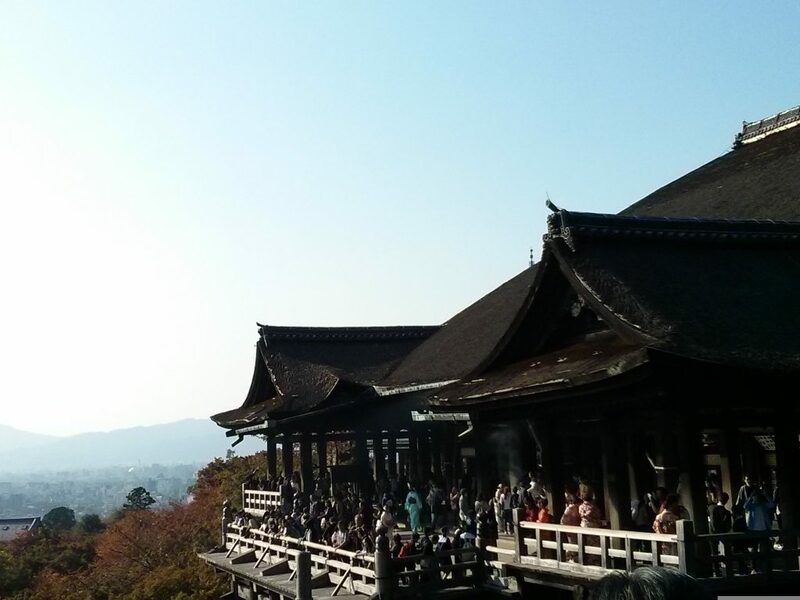 The ones whose name ends with “ji” or “tera” are Buddhist temples. 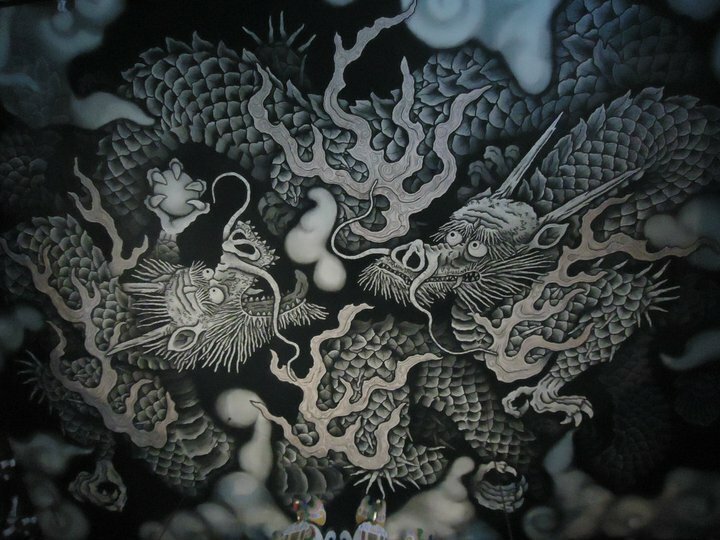 They are characterized by, obviously, Buddha statues, incense burners and usually pagodas. Buddhist monks usually live and train on the premises and occasionally you can see them walk around or officiate services. 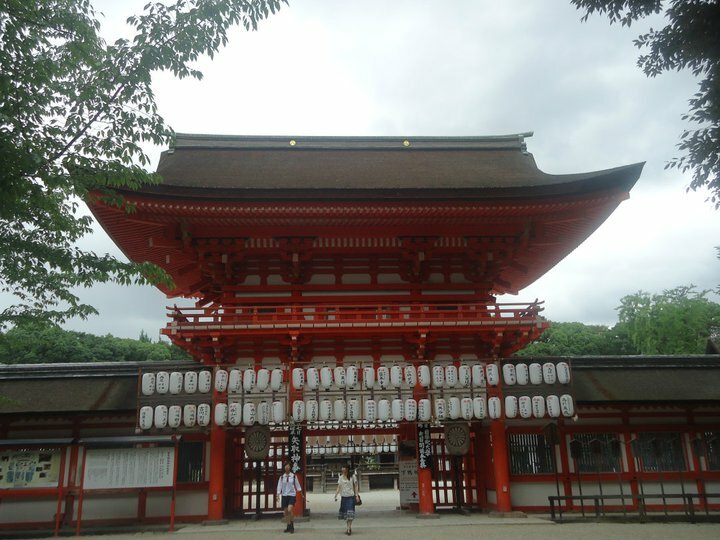 Shinto shrines, on the other hand, have “jingu” or “jinja” in their name. 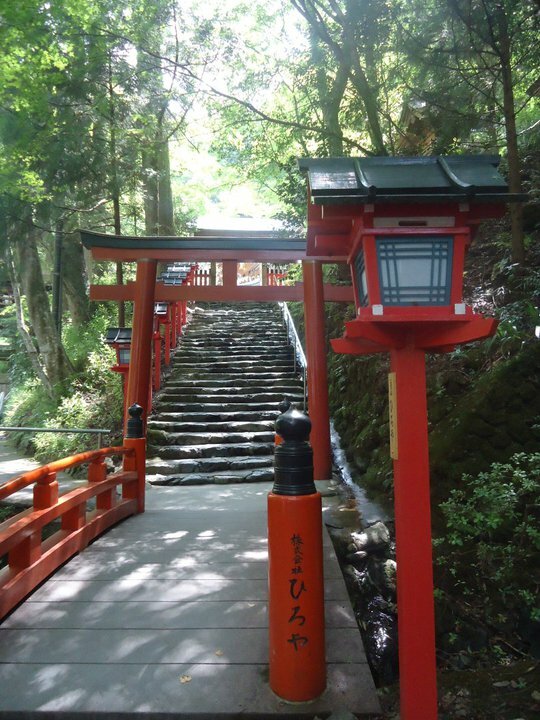 You enter through orange gates or torii and you cleanse your hands and mouth outside at the purification fountain. 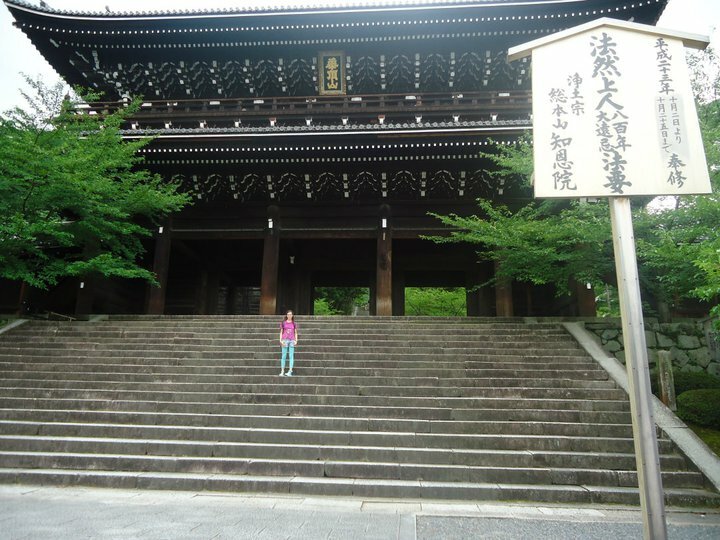 In Japan you are welcome to visit religious buildings, however you should be respectful, walk in silence and take off your shoes before entering the sacred space. 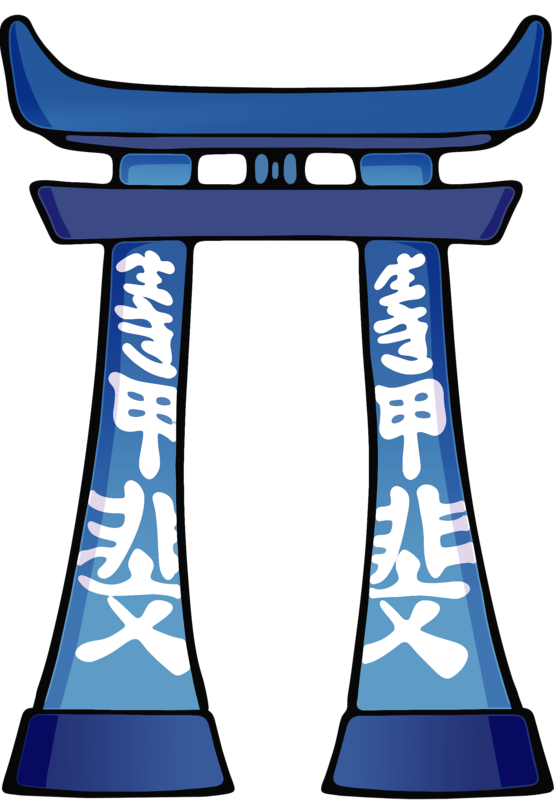 In the case of Shinto shrines, start with the purification ritual. With the ladle provided, pour some water on your hands first and then bring some water to your mouth with your cupped hand (don’t swallow the water). You’re then ready to enter the shrine. If you wish to pray, throw a coin in the designated area, bow twice, clap your hands twice, bow once more and pray in silence keeping your head slightly down. In the case of Buddhist temples, there’s an incense burner. Buy a bundle of incense sticks, light them and then stick them in the incense burner. Move the smoke towards yourself with your hands, as it’s believed to have healing powers and bring good luck. If you’re short on time, all guided tours and guidebooks will recommend these three. Despite being limiting, it’s hard not to agree: they are spectacular. 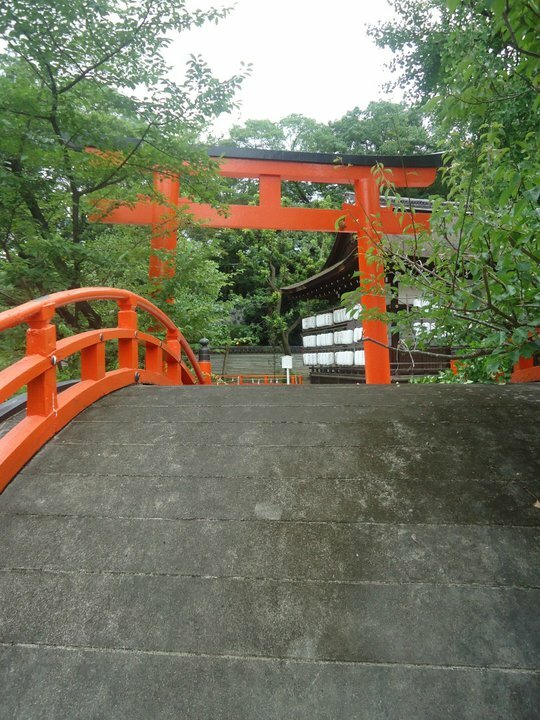 Kami and Shimo mean respectively Upper and Lower and they are a set of two shrines that complement one another. They are really beautiful and not at all mainstream, so you’ll hardly find any tourists. Sit in a corner and observe how the local life flows. 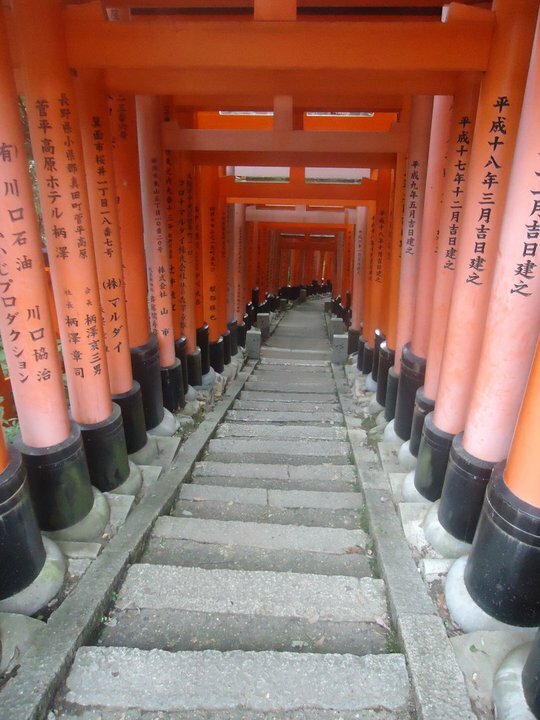 Fushimi inari is the most famous jinja in the world. It has hundreds of orange gates going up the hill all the way to the sanctuary. As it can get very crowded, pick the right time of the day: early in the morning is your safest bet, if you want to share the place only with a few cats and sweet old people. Cost: free. Area: South Kyoto. Both located in the southern area of the town. 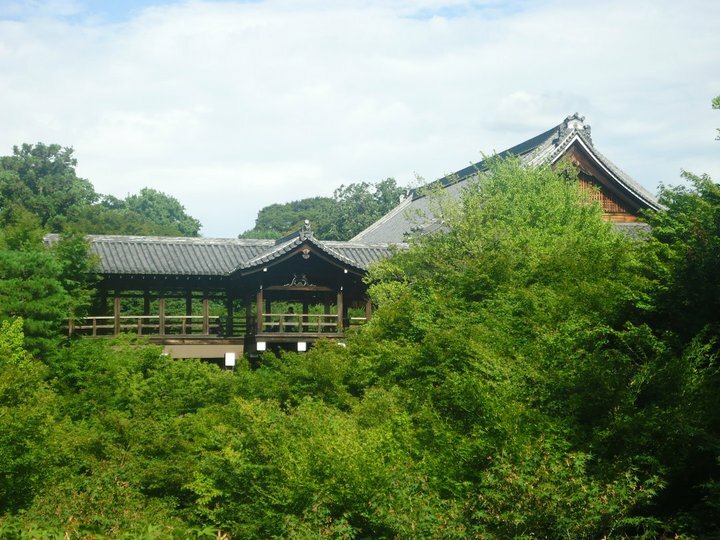 The first one has a huge pagoda and hosts a flea market once a month, whereas the second is a bit bigger and has a scenic wooden walkway worth a visit. 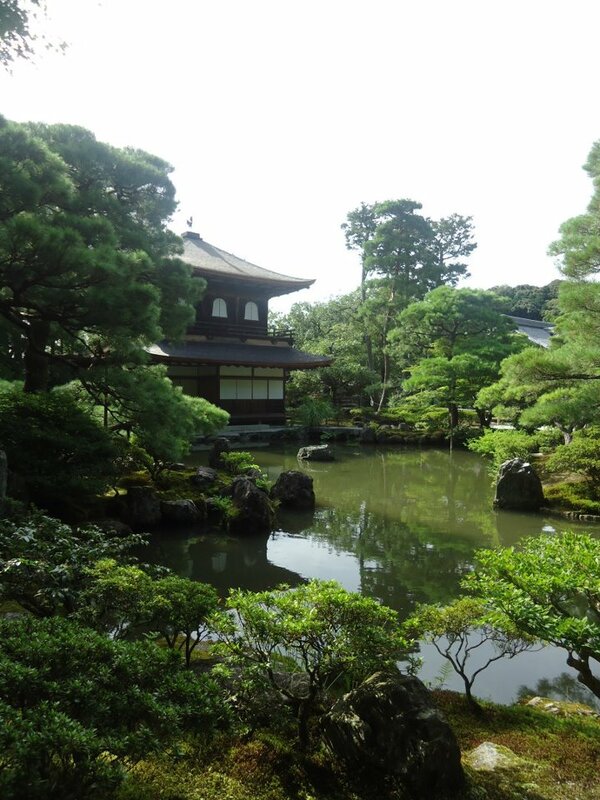 In the popular Gion area, the Kenninji has a beautiful zen garden and amazing dragon paintings and calligraphy works. The Yasaka jinja welcomes you in its colorful arms at the end of Shijo-dori, one of the main streets of Kyoto. It’s where the celebrations of the famous Gion matsuri start from. 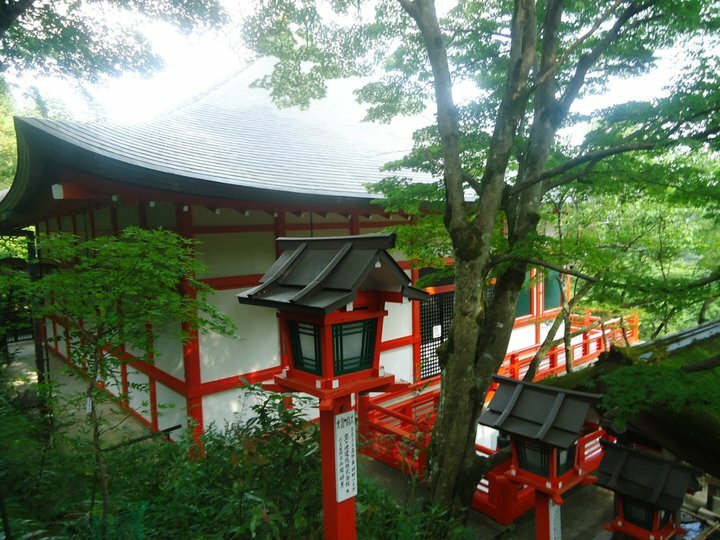 You may know Kibune’s bright red lanterns from the movie Memoirs of a geisha. It’s as magical as it seems, so don’t miss it if you have a half-day. Plus, you can reserve a table for a “floating” lunch on the river banks. 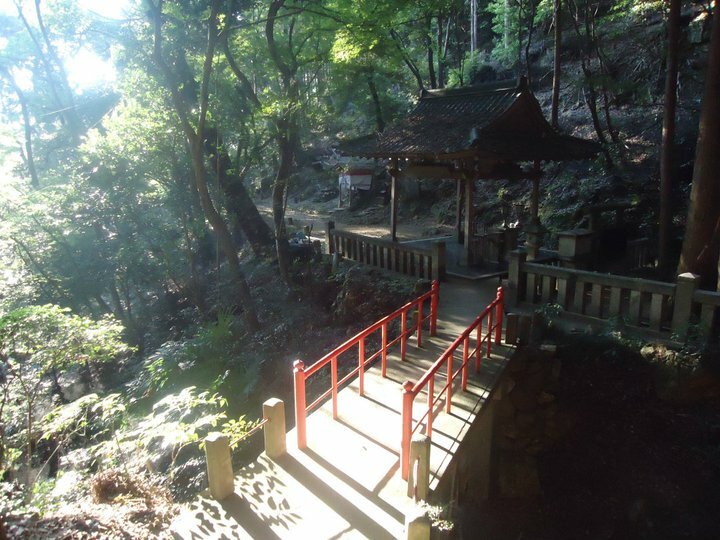 Kibune is connected to the Kuramadera temple, nestled in a cradle of green. 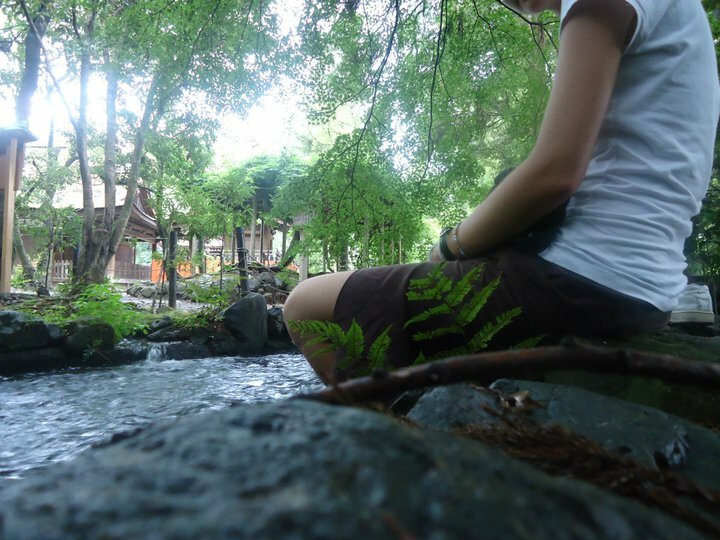 Stand on the power spot in front of the temple and feel the energy flow into you. There are many others that didn’t make the list, but my piece of advice is to just wander around and explore the temples/shrines you find on your way. More often than not, the smaller local ones are also the most authentic. I hope this made it a bit easier to pick your itinerary. Let me know what your favourite is!